Update: This is no longer available. When it comes back, I will let you know. I love reading through wedding magazines. Some of them are just huge magazines filled with ads for wedding dresses. On one hand, that's great. Wedding ads are different because they're actually useful. I don't care about the diet pills by celebrity gossip magazines are advertising, but I do care about bridesmaids dresses. But I do appreciate when a magazine actually gives me ideas for my wedding: things I can DIY, cakes I should have, and real life wedding stories. One of my favorite magazines ever is Martha Stewart Living, so I can only imagine how amazing Martha Stewart Weddings would be. That's right. 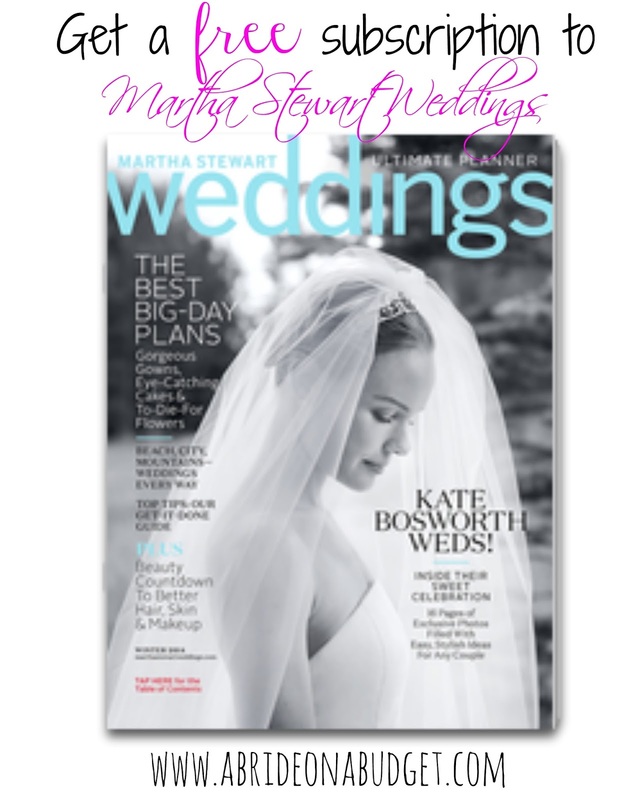 Right now you can get a free subscription to Martha Stewart Weddings. You will have to take a quick survey and refer one friend to Rewards Gold in order to get it, but for a free year of Martha, it's totally worth it. Your first issue should come in six to eight weeks. You can also get the digital subscription for free too, so hopefully that will come sooner. BRIDAL BABBLE: Do you read wedding magazines?